SmartHouse Integration, a certified ELAN Flagship Elite Dealer, is the only choice for those who desire the best performing and most innovative designs in Home Electronics, Security, and Home Management systems. With 20 years of experience, a team of professionals, and a true common sense approach to home system design, SmartHouse Integration is featured in some of the finest homes in Florida and across the United States. SmartHouse Integration was founded in 1998 to answer the call for technology in the home builder market. Starting in Shaker Heights, Ohio, SmartHouse quickly grew to become one of the top integration companies in the Cleveland Market. Continued requests from around the country prompted SmartHouse to look for an additional location. In 2005, SmartHouse Integration opened its Sarasota Office. Building on their success and experience, SmartHouse Integration has been recognized by the Consumer Electronics Association with over a dozen national awards for its work over the last 10 years. Contact us today to see how we can make your home or business an award-winning SmartHouse. We have worked with Mark van den Broek and his team at SmartHouse Integration in connection with several extensive remodeling projects at our home 15+ year old home in LWR. They served as the primary advisors for all aspects of the new technologies that were introduced into the house including; Lutron & LED lighting, multimedia and security throughout the home. Their recommendations were thoughtful and practical and led to a broad array of current technologies that enhance the home while being easily understood and straightforward to operate. They worked seamlessly with our construction contractor and the installation, programming and user training has been excellent as well. Mark has played an important role in the success of my own business. His expert knowledge of the latest technologies keeps my projects on the cutting edge. He is great with my clients and always keeps his efforts towards a simple, easy to use installation. His business requires education to the client and he excels in this area. Mark was with us every step of the way. His product knowledge, his assistance in my being able to operate all of our equipment, and his keeping us up to date with product changes was invaluable. If I were to do this all over again, Mark would be the first person I would call. SmartHouse Integration excels at satisfying customer requests and one-off home needs. They truly put the “custom” in custom home electronics. They paid close attention and delivered on our unique requests in a timely professional manner. Customer service, attention to detail and true customization are hallmarks of SmartHouse Integration. 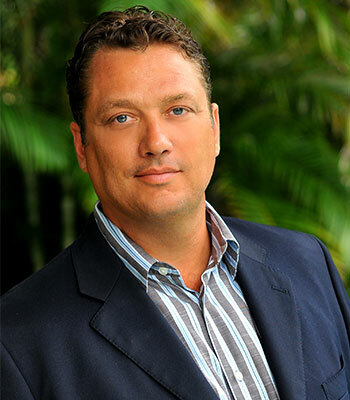 Mark van den Broek, Founder and President – Mark left his corporate life in sales and marketing in Cleveland, Ohio and started SmartHouse Integration in 1998. SmartHouse was started to meet the ever increasing need of a technology solution for the home building industry. Starting in the early days of home technology, Mark was instrumental in helping shape the industry, and has worked with some of the most notable people in the industry. Mark grew his business in northeast Ohio, and was asked to come to Sarasota for a 48-unit condo project in 2005. This project introduced Mark to the Sarasota market and within one year, opened the Sarasota office. Today, SmartHouse is nationally recognized as a leader in the industry, and has been awarded numerous top, national awards by the Consumer Electronics Association, as well as leading trade magazines.